Successfully Added Micro Wired Pinhole B/W Camera -NTSC to your Shopping Cart. 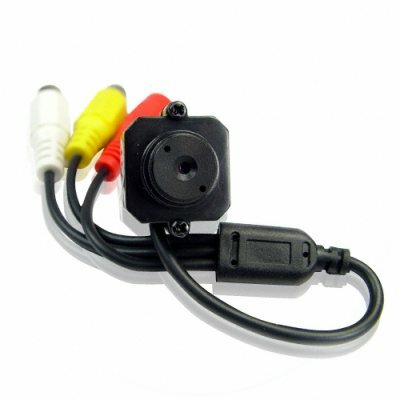 Black and white micro wired pinhole camera, perfect for micro surveillance. With a minimum LUX of 3, it is perfect to use in light to semi-darkness, is incredibly small for unobtrusive and almost invisible video capturing, is quick and easy to set up, and will even record audio up to 1.5 meters away. This wholesale product has constantly been a popular choice with Chinavasion customers due to its consistent high quality and afford-ability. Note: Before purchasing this item, please check your local laws and import restrictions for this type of device.